Surrounded by the Indian Ocean, Sri Lanka is home to a range of diverse landscapes. From rainforest and arid plains to highlands and sandy beaches, it won’t take long for you to discover its myriad charms. Few places have as many UNESCO World Heritage Sites (eight) in such close proximity to each other; whether sheltering in caves or perching on prominent peaks, alluring evidence of Sri Lanka’s 2,000-plus years of culture is yours to find and enjoy. In Sri Lanka, you’re always just a short hop from something utterly new. Moving forward at a rapid pace, now is a great time to visit Sri Lanka, as it still retains its traditional charm while working towards an even brighter future. On our Sri Lanka tour holidays, the many cultural and natural treasures of this teardrop-shaped island are yours to discover. For a delightful mix of ancient cities, monuments and atmospheric colonial architecture, our Sri Lanka escorted tours are designed to deliver in abundance. Whether you want to visit a turtle hatchery or see reminders of Dutch colonial rule in Galle; go on a guided walk in Yala National Park or gaze in awe at the impressive UNESCO-listed Sigiriya rock fortress, there are plenty of pastimes on offer for the avid adventurer. 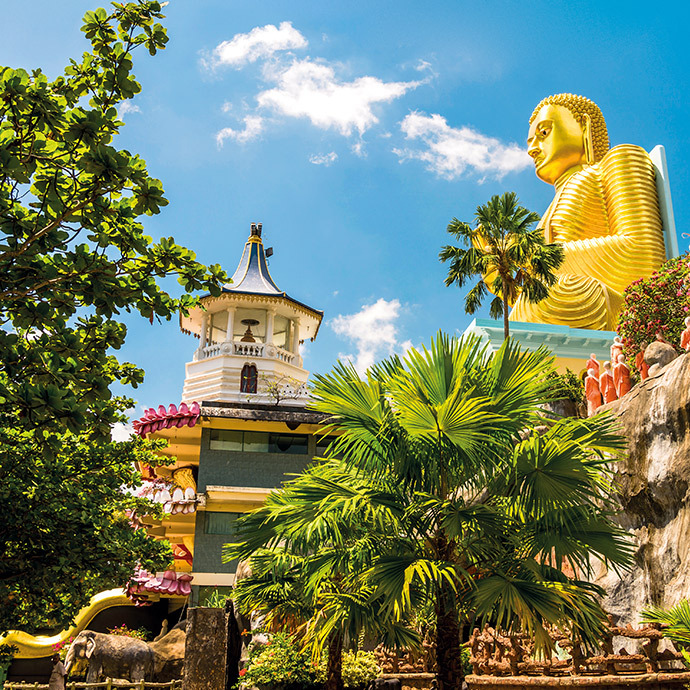 Head to Sri Lanka on the holiday of a lifetime with Travelsphere!